New Delhi : A source close to the WhatsApp development team has come up with some hints about the upcoming Dark mode feature. Report claims that this new feature is scheduled to be released for Android and iOS platforms. WhatsApp is a globally used instant messaging app and this new dark mode feature is expected to improve the user experience. According to the leaked reports, WhatsApp Dark mode will come with a black background which will comfort the eyes of the users while using the app in low light condition. It will increase the the battery life of the phone with minimum brightness. Lately, Google has also admitted that the Dark mode draws about 43 percent less power of the device; even when the phone is set to the maximum brightness level. Google-powered apps like YouTube, Google Maps has already received the Dark mode update. Moreover, this mode is also introduced as a key feature in the new Android 9.0 Pie. Popular tipster WABetainfo has posted a screenshot of the Dark mode on its Twitter. 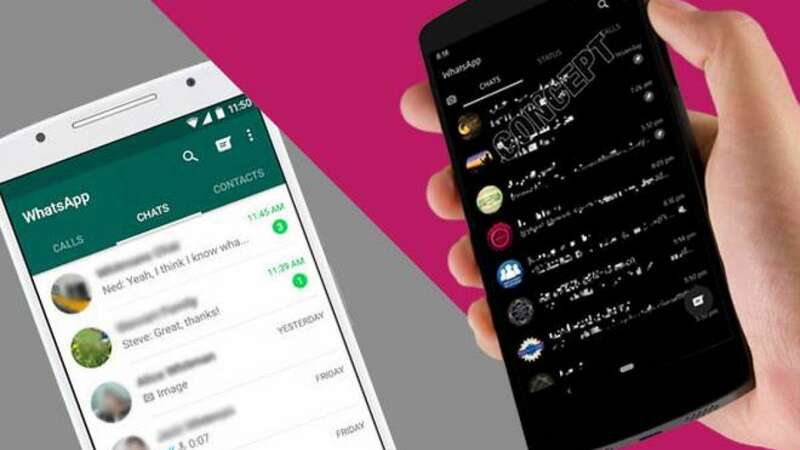 This post gives us glimpse how Dark mode is going to look on WhatsApp for Android and iOS. This feature is also expected to roll out soon on Instagram too. Besides, WhatsApp engineers are testing other new features that will be rolled out in the upcoming versions of the app. According to recent report, the Android version of Dark mode will get the stickers integration in the Gboard Keywboard app. For now, the stickers functionality is in underdevelopment stage and so offers only a few stickers designed by the WhatsApp employees.